Part of the 2015 Challenge Series we return to Callander following the 2012 debut event. 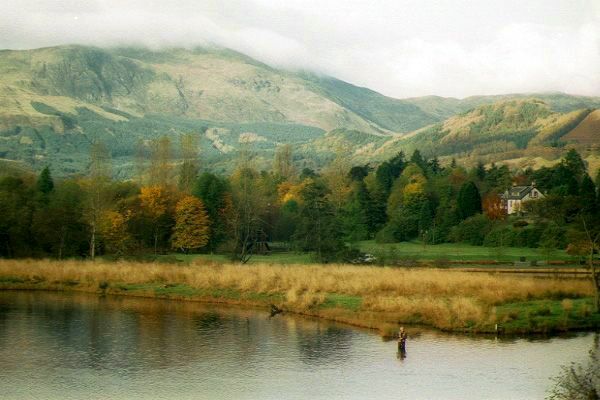 Callander – home to tea shops, the great Glasgow day out, a few decent pubs, naive forest, waterfalls, lochs and walks… and the 2015 Callander Carnage Challenge! Just 25 minutes from the motorway at Stirling and you can be in the hills, glens and lochs of Rob Roy country – prefect for two wheels. Sign up to the Facebook page for last-minute updates. Registration from 9:30 to 10:30am. You can start your 3-hour event window anytime between 10 and 11am. All finishers back by 2:20pm and prizes thereafter. 1:40,000 OS-based printed map, updated with new trails plus controls and detailed description sheet. Printed results and online downloads with splits. A great day out (as a solo warrior, pairs team or family generations class). Soup and cake, tea, coffee, juice. McLaren Leisure Centre, Callander (http://www.mclarenleisure.co.uk/). Map here, or SatNav to FK17 8JP. From Glasgow, the A81 approaches Callander from the South. The McLaren is on the right as you enter the 30 MHP zone. From all other directions, enter Callander and continue to the town centre. At the traffic lights turn South (A81 / Glasgow road), cross the bridge and mini-roundabouts and after 1/2 mile the Mclaren is on your left. Yourself, a functioning mountain bike and a helmet. We also request that you have a mobile for emergencies, a compass, whistle and appropriate clothing. Just the basics for a mini adventure. What can the Rest of the Family Do? Join you (pairs, mixed pairs and generations). Go for a swim or try the climbing wall at the McLaren.